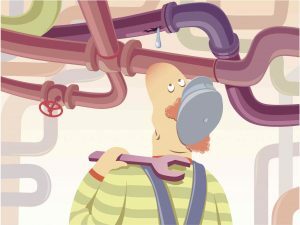 Does your Bethesda home need plumbing repairs? Does your Bethesda home need plumbing repairs? Then look no further than Master Plumbing. We can take care of maintenance for this critical part of your home in Bethesda. In theory, you could attend to these tasks by yourself, but the results of DIY projects can often be hit or miss. That said, it’s much better to rely on help from the experts. Read on to learn more about the benefits of professional plumbing repairs in Bethesda. At Master Plumbing, you can rest assured knowing our plumbers are experienced members of the trade. Believe it or not, there is a massive amount of training that goes into training a new plumber. An apprentice can’t become a master without all of this necessary on-the-job training. Whatever plumbing troubles you may be experiencing, know that your Bethesda plumbing system is in good hands. Not only will we complete any necessary repairs in a timely manner, we’ll also ensure it works as safely as possible. You can also be sure that all of our plumbers are properly licensed and registered to practice plumbing in the state of Maryland. The next benefit you will receive comes in the form of high quality results. When you live in Bethesda, you expect the best. After all, the Bethesda area is one of the most refined places in the entire country. Because plumbing repairs are in such great demand, many companies are springing up to fill the supply. But these service providers might not always be the most honest and industrious. Whether the systems in your home are easy to deal with it or more complicated, let us handle them for you. If you’re not sure what you’re doing, an easy repair might become more time-consuming than you would originally expect. We use the best tools, supplies, and equipment to render the best service. If any problems remain, we’ll be sure to fix them too. Any Bethesda home improvement project will need some insurance behind it. We understand this necessity and you can feel confident that we will have insurance possibilities covered. You never know when you might be injured while work is ongoing. We will strive to avoid this, but sometimes, accidents will happen. Liability insurance will keep you safe. Also, insurance is useful for lowering the costs of repairs and covering the costs for equipment that needs replacing. When you entrust Master Plumbing with the responsibility of carrying out your plumbing repairs, you can also expect lower costs to complete the entire project. Quotes and initial budgets are an important step of the process. We’ll do whatever we can to help save you money.